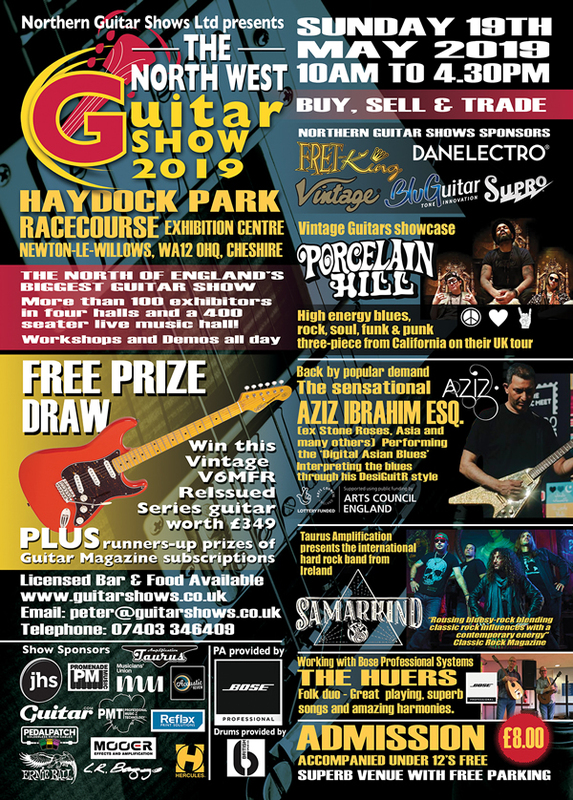 Now in its 22nd successful year, the UK’s longest established guitar show, the North West Guitar Show, returns to its most popular venue yet at Haydock Park Racecourse Exhibition Centre on Sunday 19th May 2019 from 10am to 4.30pm. Building on record attendance and sales in 2018, this year’s show will be the biggest yet with more than 120 dealers and exhibitors with product to sell in four large exhibition halls. The north of England’s biggest one day guitar show. The Show is sponsored by: JHS, PMT, Musicians' Union, Rimmers Music, Promenade Music, Acoustic Review, Reflex Print, Guitar.com. A fantastic day out is guaranteed - a treat for any guitar enthusiast. Registration is open to any business with guitar-related products including retailers, distributors, manufacturers, luthiers, boutique makers and private collectors and dealers.